Baikonur has been the launch pad for nearly all of Russia’s space achievements. 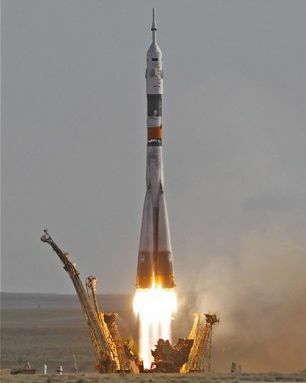 From Sputnik 1, the first artificial satellite, through Yuri Gagarin’s first manned flight, down to present day re-supply of the International Space Station, it is from Baikonur that the rockets have lifted off. Now it might be threatened. Baikonur is in Kazakhstan, which was once part of the Soviet Union but is now an independent state. Baikonur is rented by Russia as a Russian enclave operating under Russian law. Both times I have visited I needed a visa to leave Russia to land in Kazakhstan alongside it, and another one to re-enter Russia after passing through Kazakhstan afterwards. It might be just bluster to up the rent, but the head of the Kazakh Space Agency has called for reducing the number of launches and “revising” the lease agreement. He seems peeved that the Russians have not invested in a new facility there to house the new Angara rockets. It would be a sad day for space enthusiasts if Baikonur were to close. Not only is it the site for most of Russia’s space effort, it is a place rich in history. You can still visit Korolov’s house next to Gagarin’s on Sputnik Row, and see accounts of the greatest disaster in the history of space exploration when an explosion at take-off killed 126 people, including the Commander of the Russian Strategic Missile Forces. If it did close it would be the end of a legend. Ah, yes. When Marshal Nedelin ignored the advice of rocket engineers and ordered repairs to be carried out on a fully-fuelled R-16 sitting on the launch pad ready to go. Another meddling bureaucrat ticking a box and trying to meet a target.